WeWork announced it is working to help businesses shoulder the local wage tax. The future of work is changing, and so is the future of our cities. Nowhere is that more evident than in Philadelphia, where many entrepreneurs and innovators are setting up shop and returning to the city’s center after decades in the suburbs. But there’s a hitch — businesses moving back into the city must pay a local wage tax, an additional cost many of them hadn’t counted on. WeWork announced it is working to help businesses shoulder these costs. One of those businesses is TEKsystems, an IT staffing, talent management and services company. Based in Radnor, Pennsylvania, it recently took space for a dozen members of its regional sales and recruiting team at WeWork 1900 Market. Jessica Montes-McNelley, director of business operations at TEKsystems, says the WeWork program is already helping the company. McNelley says the WeWork office allows her team to cut down on their commute and, more importantly, get closer to customers. 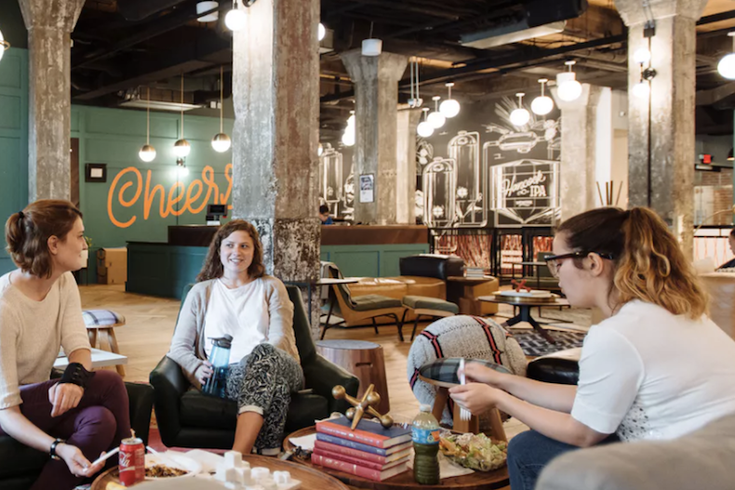 With four locations in the city — in addition to 1900 Market, there are Northern Liberties, Walnut Street and 1601 Market — WeWork has committed up to $1 million to help alleviate the burden of the Philadelphia wage tax. The goal is to bring more than 800 jobs back to the urban core. Any company, from a startup with one or two employees to a more established company with dozens of staffers, can qualify for the discount. WeWork is covering roughly 50 percent of the cost of the wage tax for any company that signs an agreement to move into a Philadelphia WeWork building through June 30.